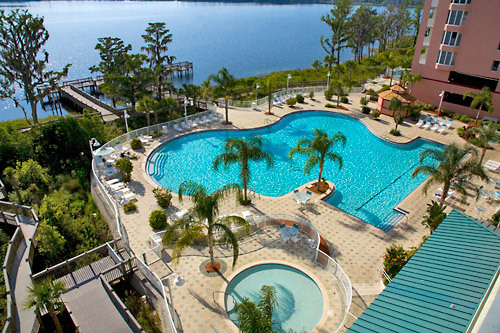 A high-rise condo-style hotel situated on Lake Bryan, Blue Heron Beach Resort features relaxing one- and two-bedroom suites with full kitchens, lakefront balconies, whirlpool baths, TVs, and washer/dryer sets. 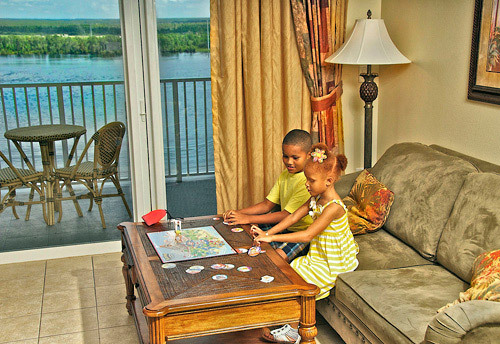 Guests can enjoy a game room, multiple outdoor pools, a poolside concession stand, two fitness centers, shuttle services to Epcot® Theme Park and Wi-Fi access. 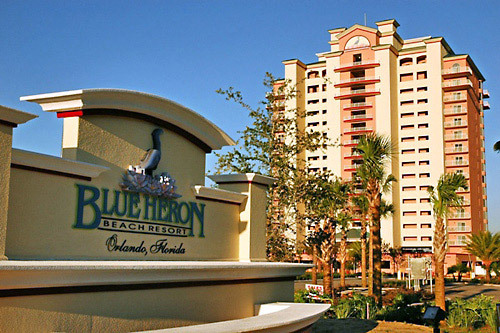 Blue Heron Beach Resort is an Official SeaWorld Hotel Partner. 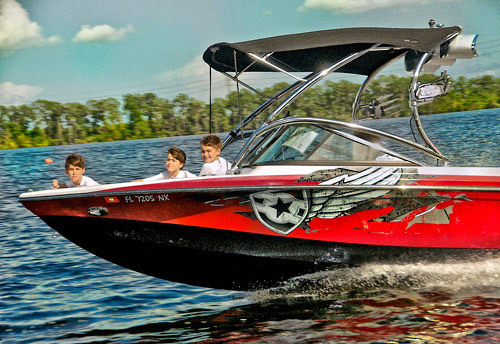 Watersports are available through Buena Vista Watersports just a few hundred yards from the resort. 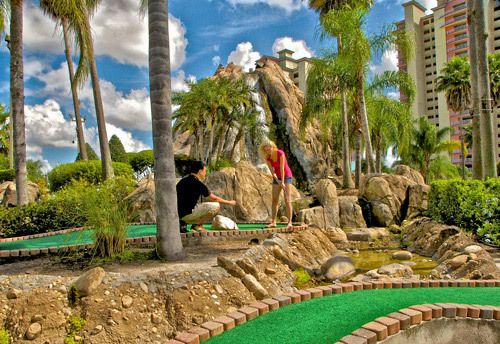 Mini-golf is right next door. Starbucks is within walking distance. Disney's fireworks can be seen from resort. Enjoy shuttle service to Epcot. SeaWorld Official Hotel Partner with plenty of benefits. 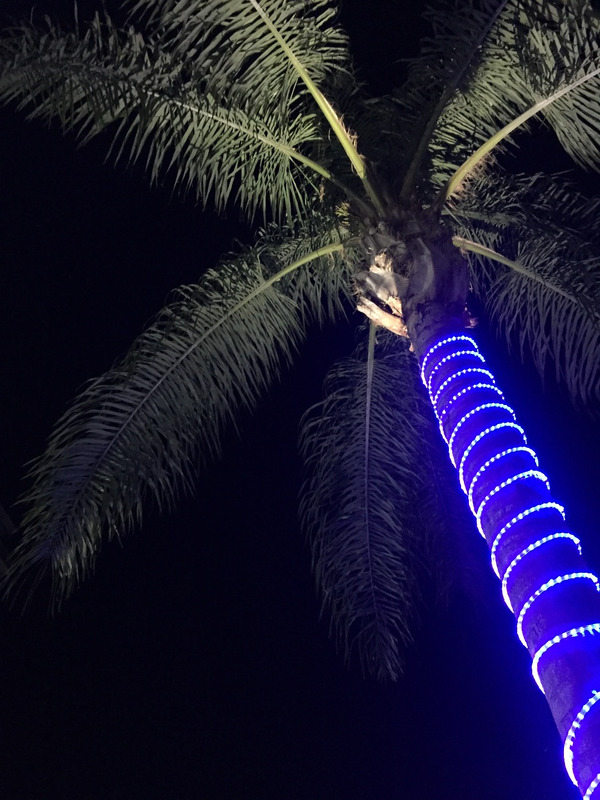 A nightly resort fee of $15.00 plus taxes and $3 credit card transaction fee (total of $20.25 per night), payable at the front desk upon check-in. 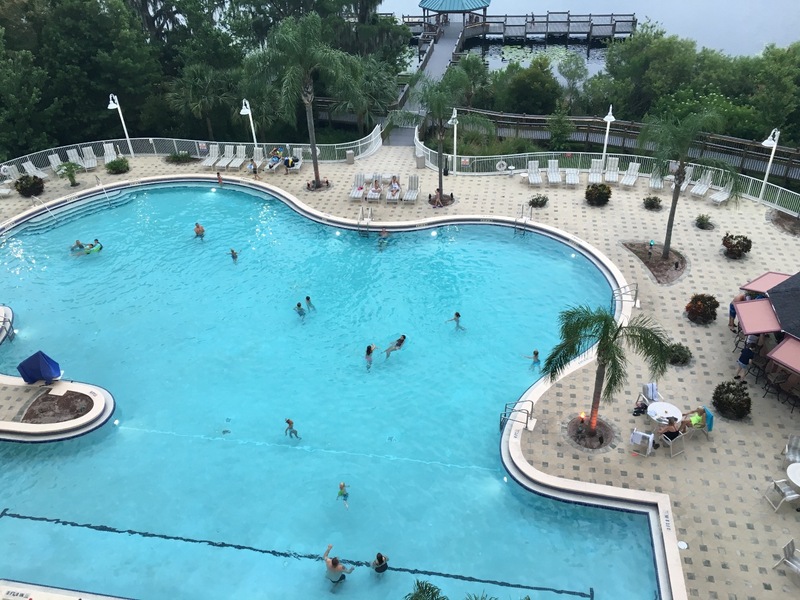 Located just south of I-4 and nestled on the banks of Lake Bryan, the Blue Heron Beach Resort is best starting point to experience all that Orlando has to offer. 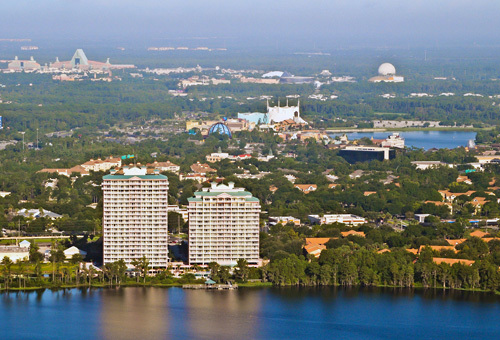 With the Disney World entrance less than one mile away, the resort is located close to all other area attractions. SeaWorld is about 3 miles from the resort and Universal Studios is only about 7 miles north on I-4. 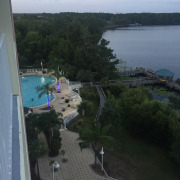 The Blue Heron Beach Resort is 10 minutes from The Orlando Convention Center and just down the road from Orlando’s ’Premium Outlet Mall’ and within one mile to the 'Lake Buena Vista Outlet Mall.' 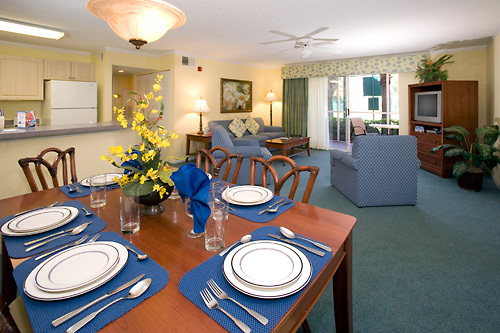 Numerous restaurants and other area attractions can be reached within minutes. While the Resort is also close to Orlando museums, activity centers and nightspots, golf enthusiasts will be glad to know there are over 30 golf courses within 25-minutes of this luxury condo resort. 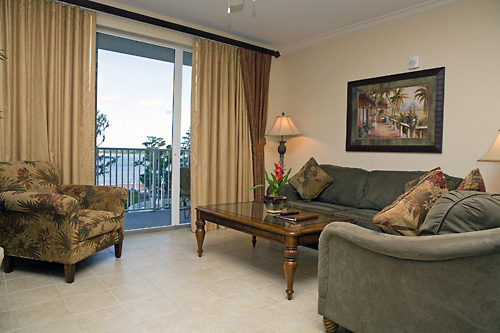 The Blue Heron Beach Resort offers over 280 residences – one, two or three bedroom luxury condominiums. Each features tile foyers, baths and kitchens. Guests will enjoy a private balcony, fully equipped kitchens, which include granite counter tops, dishwasher, full oven, and microwave. Also included in each condo -- TVs with DVD players in all rooms (including bedrooms), washer and dryer, wireless high speed Internet access, individually controlled air conditioning and heat, iron with ironing board, sleeper sofa, and alarm clock radios in all bedrooms. All bathrooms at the Blue Heron Beach Resort offer hair dryers, and granite counter tops, while each master bath features a Jacuzzi tub. 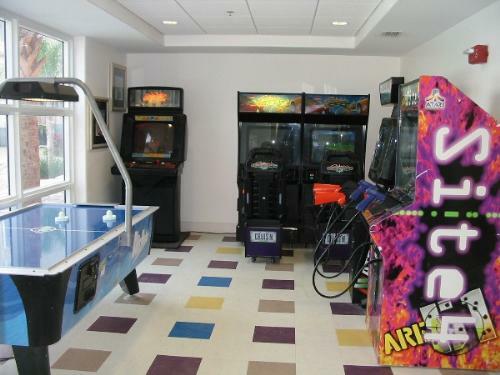 Each condo has in addition to the bedroom(s), a set of bunk-beds which are perfect for the kids. With this configuration, the one bedroom luxury accommodation is perfect for 2 adults and 2 kids (up to 130lbs). The two and three bedroom luxury accommodations have the same set up in addition to the added bedrooms. 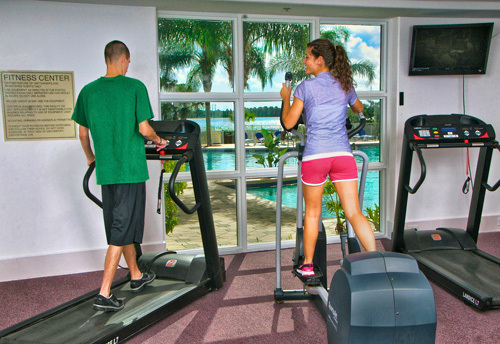 The Blue Heron Beach Resort offers a fitness center, game room, concierge service, ‘key access only’ elevators, heated pool with ‘lap lane’, kiddy pool, a hot tub and sheltered parking in the parking deck. The resort is considered a ‘self-catering’ facility and does not provide daily housekeeping services. Daily housekeeping can be provided at an additional charge. Please note: A $45 per room cleaning fee will be charged at check-in. 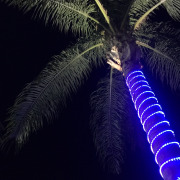 A nightly resort fee applies and payable directly to the hotel. Upon Check-in, an authorization hold of up to $350 will be placed upon a valid credit/debit card for incidentals and damages. $50 per night for a maximum of $350. Does Blue Heron Beach Resort offer shuttles to the theme parks? We do provide a free shuttle to Disney. Departure times are generally between 8:00 am-9:00 am. Pickup can be arranged with the driver. A shuttle to Universal Orlando is available but there is a fee of $12.00 per person round trip. These schedules are seasonal and subject to change. 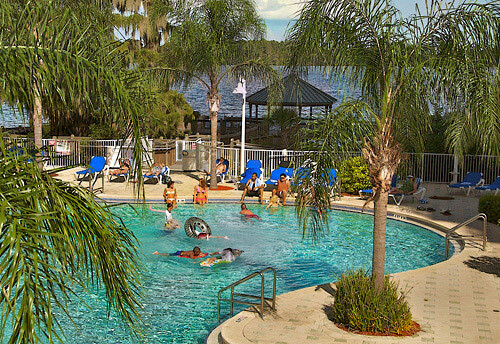 How many units are available at Blue Heron Beach Resort? There are 283 units available at this property. Tower 1 has 17 floors and tower 2 has 23 floors. 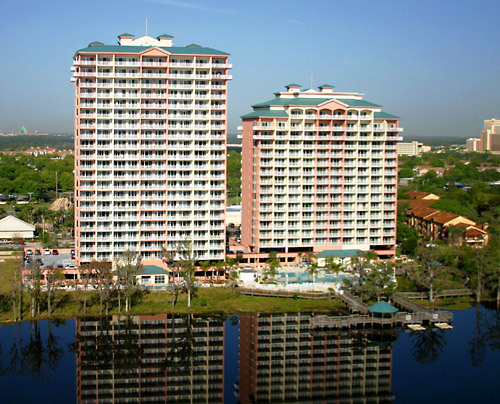 There are two separate towers at Blue Heron Beach Resort. Adjoining rooms are not available at Blue Heron Beach Resort. We do not have these selections located on-site. However, Starbucks, Dunkin Donuts, a small grocery store, gift shop and small restaurant are in the adjacent shopping center only a few steps away. 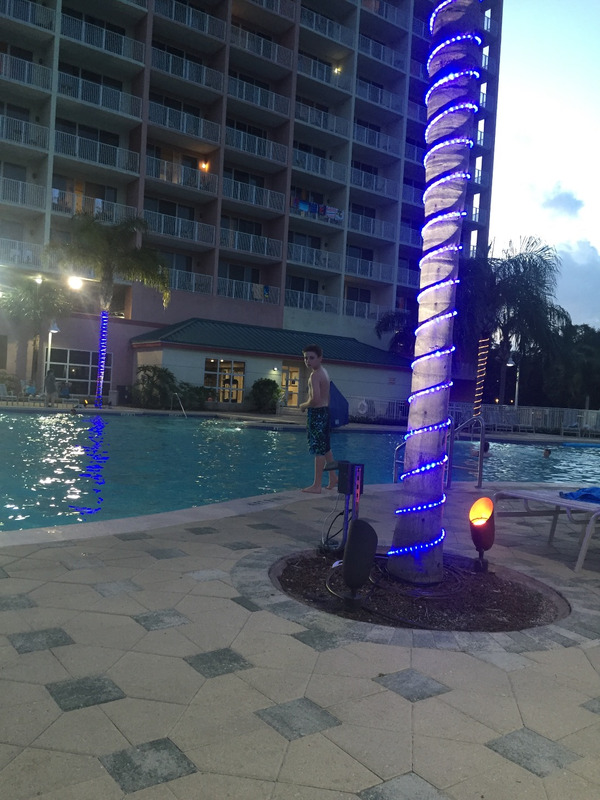 Does Blue Heron Beach Resort charge any resort fees? Yes. There is a resort fee of $12.25 per night charged upon check-in. Does Blue Heron Beach Resort charge for housekeeping? Yes. In an effort to minimize your nightly room rate and to simultaneously provide you with more privacy, the resort does not include daily housekeeping services in your room rate. We can provide you with housekeeping services on an “a la carte” basis. 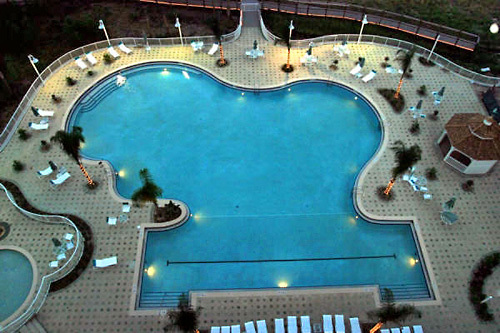 Priced anywhere between $15-40 per unit, per day. 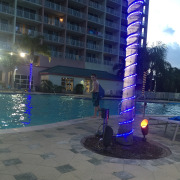 Guests must be at least 21 to check-in at Blue Heron Beach Resort. Do you charge for pack 'n plays? Cribs are $7 per night. 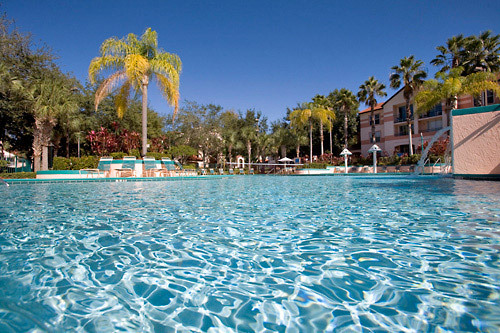 What are your pool hours at Blue Heron Beach Resort? The pool is open from sunup to sundown. Yes. Guests can check-in at any time as there is 24-hour front desk. The first two floors of the towers are parking garages, providing nice, covered parking for guests. There is some additional parking in front of the towers. 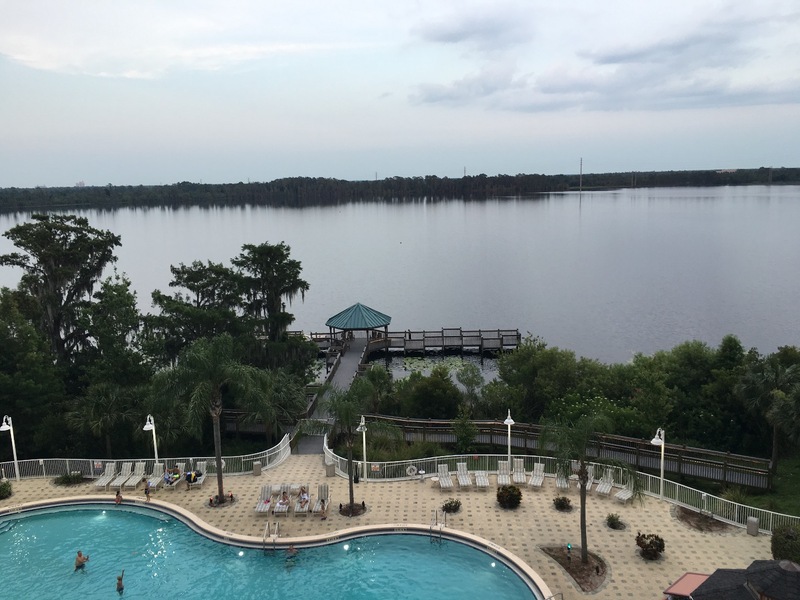 The Blue Heron Beach Resort is located on a large lake. Are water sports available? Yes. There is a company adjacent to our property that rents jet skis and water ski activities to guests. 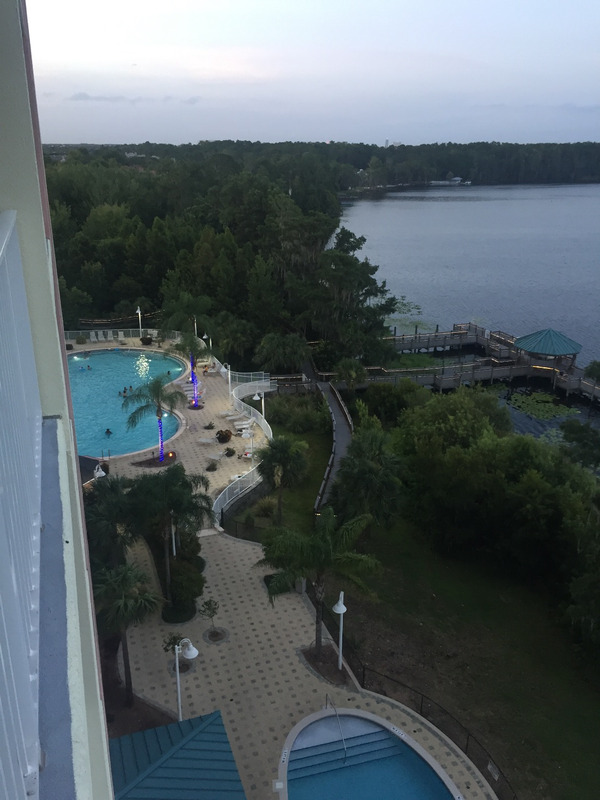 How far is Blue Heron Beach Resort from Disney World?